The Oil Filling Unit we are offering has wider applications. 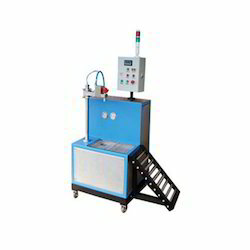 It measures & dispenses preset quantity of oil. It has specially designed anti-drip gun to avoid dripping on the shop floor. It is designed to handle viscous, corrosive, volatile or any type of liquid. Optional : » Provision of Two types of oil filling. » 2 guns to suit different bowls. Power Consumption: 430 V WITH PUMP. 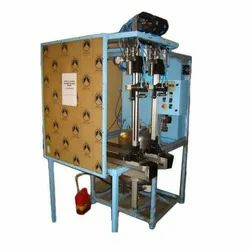 We are offering Automatic Oil Filling Machine to our clients.